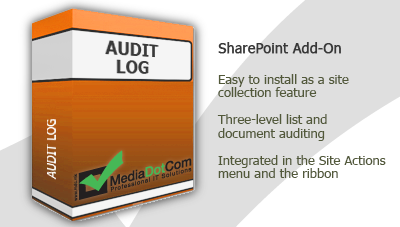 Feature for auditing of logged information about your SharePoint lists and documents. Supports 3-level audit access. This SharePoint add-on offers administrators complete auditing functionality, i.e. 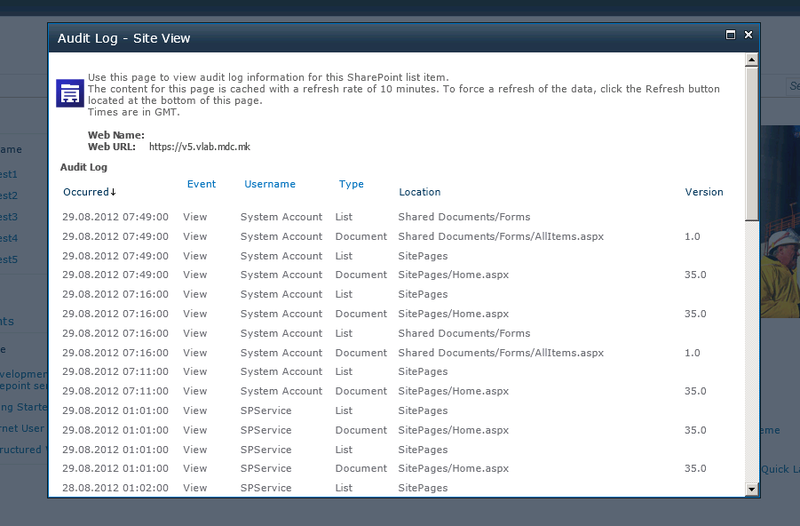 viewing log information about SharePoint libraries and documents. Actions like viewing, updating, checking in/out etc. of libraries and documents which are recorded by the SharePoint logging service are structured and presented in a suitable way, thus providing administrators with easy access to the information they need. Auditing is implemented on three levels: site, library and document. Choosing site audit will show all actions done by every user related to all library items. Library audit option presents the log associated with a specific library, while document audit presents information about some document. Log information contains the action (event) type, the date when it occured, the item type (list or document), the location path, and the username of the user that executed the event. - Easy to install and configure from the Admin panel. - Three-level list and document auditing. 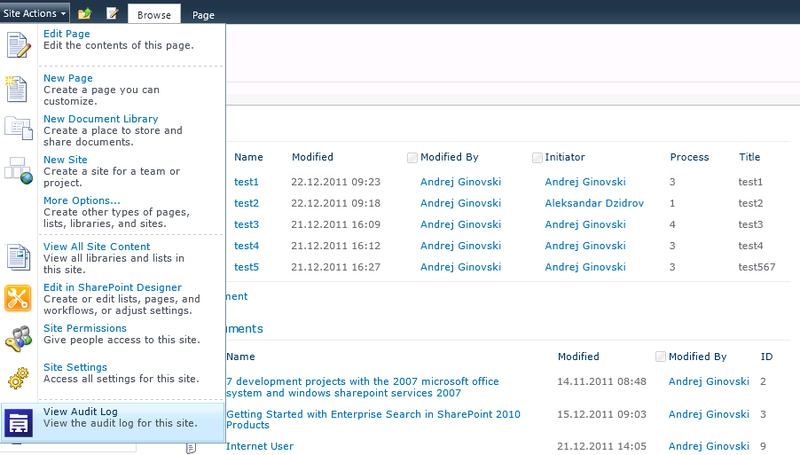 - Integrated in the Site Actions menu and the ribbon. Find out more about Audit Log and other products from MediaDotCom Knowledge Base. Q: How do I use the Audit Log add-on? Q: How often is the log data updated? A: The information presented is updated every 10 minutes. However, you can click the refresh button and force an update.